The DINAR1_CBL is a cable that connects two DINAR1 expansion connectors. 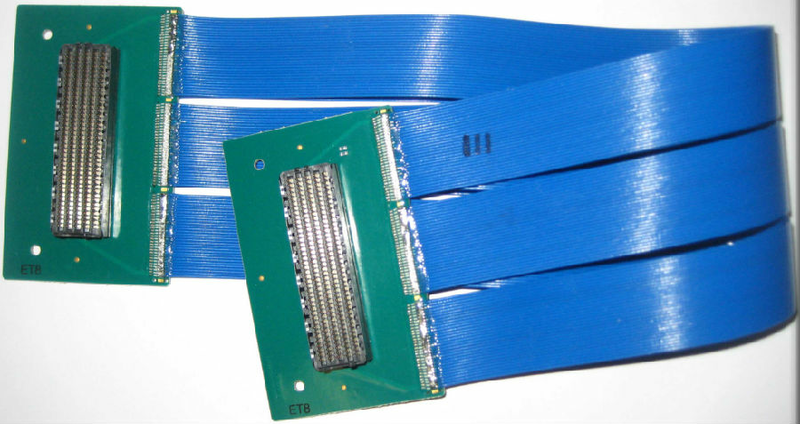 The intent is to seamlessly connect two FPGA cards together. The cable is coax and is one-to-one. "Standard" cables will be 14" long. Longer or shorter cables can be ordered on special request (with increased lead time). The DINAR1_CBL can be used on the following DINI Group Xilinx Virtex-7 products: DNV7F4A,DNV7F2A, DNV7F2B and DNV7F1A.